Increased external R&D investment enabled the ISS National Lab to scale demonstrated programs for maximum benefit. New partnerships with key players in the next era of LEO development helped support today’s R&D while carving a path toward the future. New and ongoing education-focused partnerships strengthened reach within underserved STEM communities and groups. The ISS National Lab supports R&D with benefit to life on Earth, as well as private-sector activities that support this R&D, to return value to the nation and strengthen the foundation for the growing LEO marketplace. 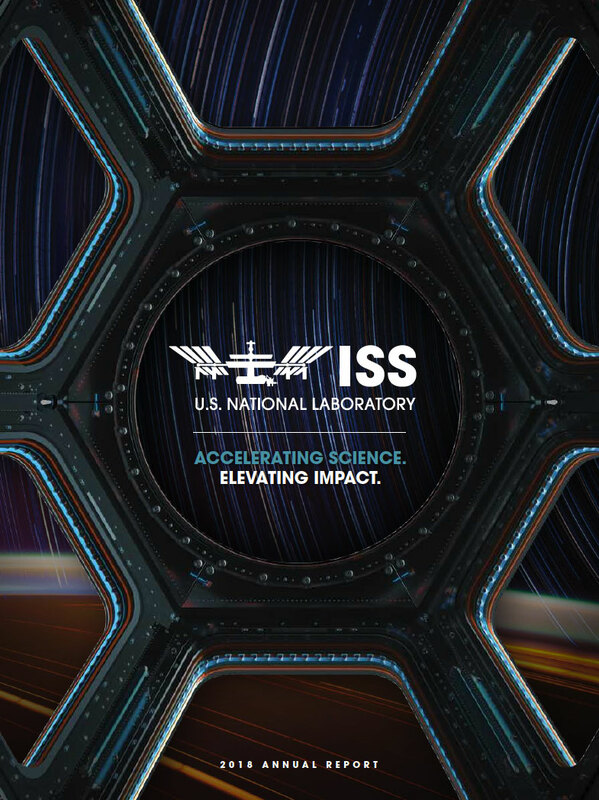 In FY18, continued growth in collaborative efforts helped expand ISS National Lab R&D activities, attract new users, increase external R&D investment, and better reach underserved youth. More than $19 million in external, non-NASA funding was committed in support of FY18 projects selected as part of Sponsored Programs—research competitions funded by a third party. This amount of Sponsored Program funding is nearly equal to all previous years combined. For FY18, these third parties included NIH, NSF, and Boeing—all previous program sponsors returning to support additional R&D. Representatives from the ISS National Lab and Boeing pose for a photo with the MicroQuin team, winners of the MassChallenge Technology in Space competition . Four new research opportunities with NIH and NSF accounted for most of the FY18-committed funding and built on several years of ISS National Lab collaborations with these prominent research organizations. 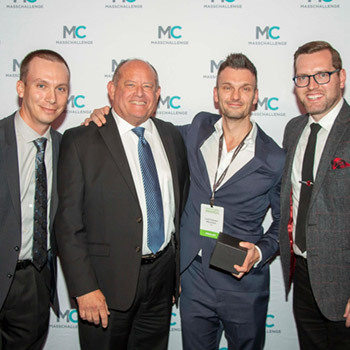 Boeing’s support funded both the education-focused Genes in Space program and entrepreneurial R&D in partnership with the MassChallenge program, one of the leading startup accelerators. Both programs are multiyear and growing. For a full list of FY18 research competitions and Sponsored Programs, including details about the innovations and R&D objectives they support, see Research Competitions. Airbus DS North America and Bigelow Space Operations (a division of Bigelow Aerospace), two key companies in the aerospace industry that plan to expand the capabilities of the ISS National Lab, ensuring that users derive maximum benefit. ProXopS and SEOPS, two companies whose plans, respectively, involve providing a multipurpose research platform and installing a cargo-vehicle-based small satellite deployment system. Hans-Juergen Zachrau, Airbus DS Space Systems, Inc.
178K+ online viewings of Story Time From Space occurred in just the last three months of FY18—many in classroom settings that reached dozens of students with each viewing. 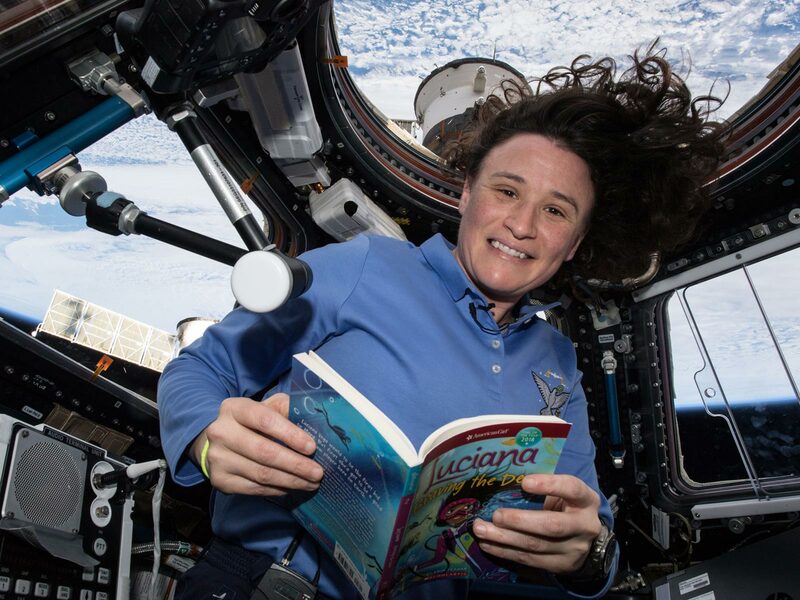 Story Time From Space offers a combination of science, literacy, and entertainment through a library of free video recordings of astronauts on the ISS reading children’s books and performing related science demonstrations. DreamUp, which has supported space-themed educational programming for almost 10 years, released a new set of educational kits that bring real ISS research into the classroom in a way that is authentic yet affordable. Quest Institute, which supports hands-on student experiments inspired by the ISS National Lab, specifically funded underserved schools this year, nearly doubling the number of schools in their program. SciGirls in Space, produced by Twin Cities PBS, will feature space-themed episodes including profiles of female scientists who have flown ISS experiments. The Emmy-award-winning television series is the most widely accessed female-focused STEM program in the nation, reaching more than 14 million girls (grades 3–8), educators, and families. 500+ members are part of the ISS National Lab Space Station Ambassador program. Alliance For Girls signed a memorandum of understanding with us to formalize plans for mutual support through co-branding, outreach, and educational programming. Based in San Francisco, this is the largest alliance of girls’ organizations in the country, reaching more than 300,000 underrepresented girls through member agencies. Girl Scouts of Central Indiana is the newest Scouts group to partner with us and has plans to create an ISS-themed merit badge in collaboration with pharmaceutical company and repeat ISS National Lab user Eli Lilly & Company. 10+ new ISS National Lab education-focused partnerships were formed in FY18. Additionally, the Space Station Ambassador program offers educators an opportunity to partner in support of ISS National Lab activities, serving as an advocate, conducting workshops and seminars, and developing educational content. For more information on the Space Station Ambassador program, visit http://issnl.us/ar1816. To foster scientific discovery and technological innovation in space, expand U.S. leadership in commercial space, and inspire the next generation. 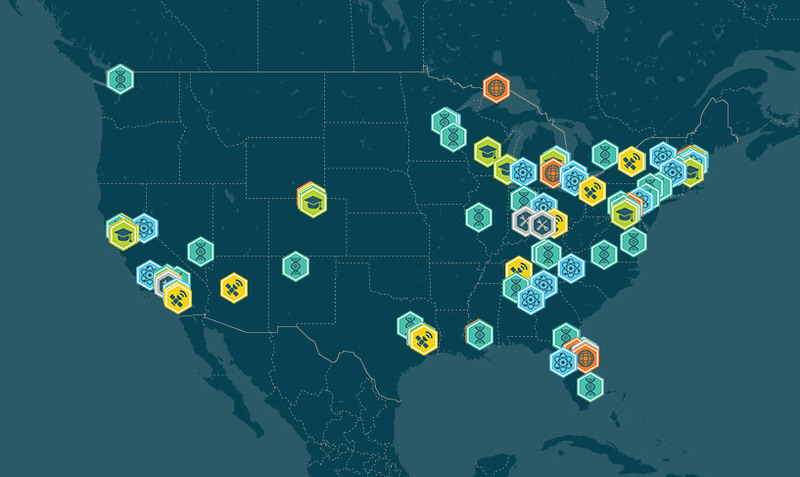 Browse our project map which shows recent, current, and upcoming ISS National Lab research projects that seek to improve quality of life for those of us here on our home planet. The International Space Station U.S. National Laboratory has compiled a series of metrics that encompasses all of the major functions for the organization. The charts on this page are dedicated to showcasing all progress that has been made within these core functions, from Lab utilization to grant value and outreach. The ISS National Lab is managed by the Center for the Advancement for Science in SpaceCASIS, under agreement with NASA.